Get started on your new healthy lifestyle today. New Hampshire diabetes prevention lifestyle coaches use the CDC recognized National Diabetes Prevention Program curriculum. You will find contact information for lifestyle coaches by clicking on the location. 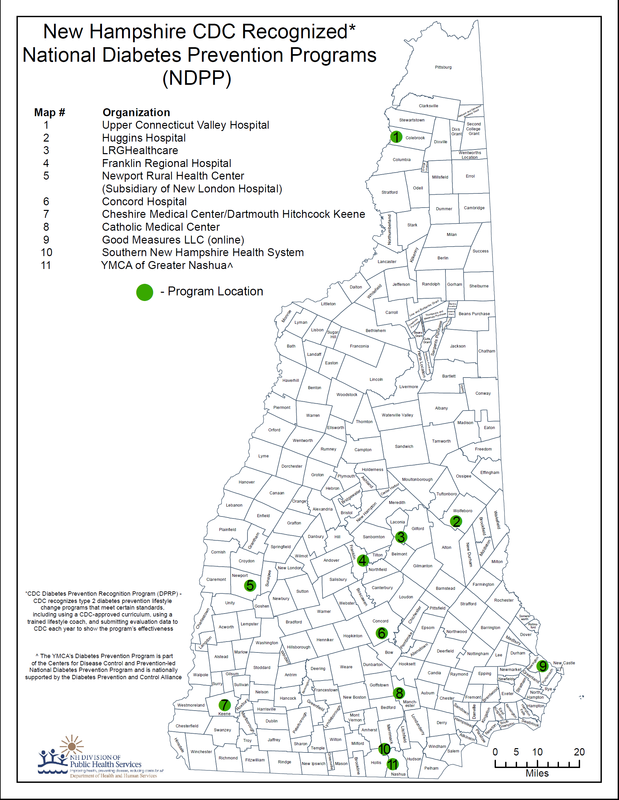 See the NH-National Diabetes Prevention Programs 2017 (printable map) for a complete listing of National Diabetes Prevention Programs in New Hampshire.